If you don’t know your app’s end goal — if it can’t be concisely defined in a few sentences — in all likelihood it will be confusing for the end user and ultimately abandoned. An app that offers no clear purpose will offer users no clear reason to keep using it. The app market is teeming with apps that pass by overlooked or are quickly forgotten, so when starting out the design process or – even better – when discussing a possible strategy with a client, it is important to map out how the app will play into their brand and communication model, how they plan to monetize it and what they hope to offer their users via the app. These elements are all important in carving out a niche for your client in the marketplace. Make sure your design highlights exactly the elements they are planning to bank on and that it is consistent with their brand. At this point, we all know that when launching a new app, it will face huge competition in a very crowded app market. As such, it is essential that when a user first installs and runs your app, they will have enough reasons to ‘stay’ — as statistics show, 25% of apps were only used once in 2015, which is a dismally low retention rate. How do you avoid becoming a part of this statistic? While ‘onboarding’ is considered an important step in teaching new users about an app, you have to be careful not to overdo it. If onboarding turns into an overdrawn process that takes up too much time, users will often abandon the app. You have to keep in mind that apps are regularly used on the go and people won’t have the patience to skim through a carousel of instructions; instead they want to get to the heart of your content as soon as possible. One solution is to make the process as short as possible, trimming it down to the most essential information – in other words, let the app communicate its own value, instead of trying to convince users straight away. Another idea is to skip the tutorial entirely and/or add visual cues to guide new users through the learning process. Another reason apps are abandoned after first use is because they simply ask for too much information or they force users to sign in. As already mentioned, people want to get to the app’s content or functionality quickly and may even dislike giving out their info without first having any clear motivation to do so, not to mention the fact that typing out addresses and phone numbers on a mobile screen is a lot more difficult than via a computer keyboard. One way around this is to let the user skip this step and use the app immediately, but offer them the option of signing in as an efficient way to save their info for future use (such as for restaurant or hotel reservations) and reduce the number of fillable forms to a maximum of two or three. Quartz’s newly launched app teaches us a great lesson here. It doesn’t force users to swipe through intro screens or sit through an instructional video; instead it lets them interact with the product right from the word go, teaching them the process while actually using the app. When creating an app, you have to leave your inner web designer behind and usher out the app wizard. Users want quite different things from websites and apps, so when crafting your app, you need to anticipate what a mobile user would want as compared to a web user. Mobile apps do not benefit from large screens – in fact, as we all know, they are much smaller – so consequently your design has to meet this expectation. Small text that you’d have to squint to be able to read, a tiny menu where you need several tries to press the correct option or an overly crowded design will all dissuade users from opening your app again. Your goal is to make the design legible and easy-to-use, so you should make sure you use appropriate font sizes, make menus and buttons larger (to avoid the ‘fat finger problem’) and use a minimalist approach to cut down on unnecessary design elements. 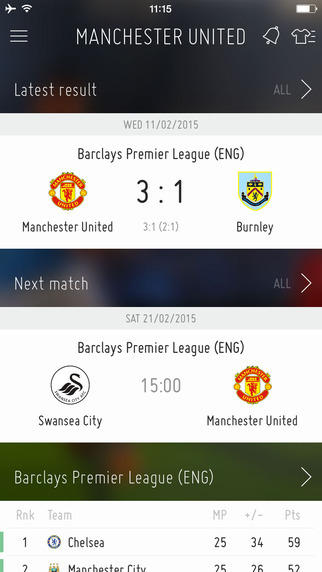 FIFA’s app is a good example in this regard. While it does well in keeping up with FIFA’s colour scheme, it is otherwise pretty independent from a design perspective. It features an aired-out design, with easy to read text and a minimalist approach to highlighting content. You may be tempted to cram tons of design features into a new app or to use a large colour palette and a host of flashy fonts; sometimes you may even want to introduce new standards or rework the existing ones, to make sure your creation stands out from the crowd. However, when aesthetics and creativity go overboard, it is the user experience and interface that suffer. Design elements help users learn a pattern, a set of principles for using the app, which will serve as a guide throughout the app’s menus and features. When an app has gone over the top with the features, has too many new visual elements and is inconsistent across the board when it comes to colours and typography, this results in a confusing experience for the end user who may well get too frustrated to bother using the app again. In this case you need to go back to the main goal of the app and focus on making its functionality or content easily accessible and give them air to breathe – white space should never be underestimated. Make sure you aren’t trying to detract from the main purpose of the app with too many non-essential features and that your colour scheme, typography and navigation patterns are consistent, sticking to a clear format. You also need to re-evaluate the merit of a non-standard set of icons, when standard icons may already be familiar to users and tend to be more intuitive. This will make the learning process much easier and result in a greater retention rate. 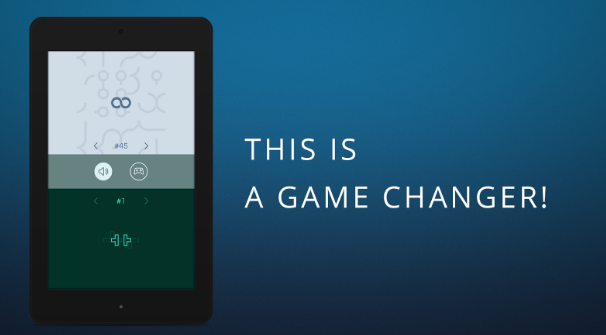 ∞ Infinity Loop is a game app that focuses squarely on its purpose – providing users with a simple, relaxing game. It features absolutely no unnecessary design elements or extra features, engaging users with its dynamics right out of the gate without incorporating any other distractions. Given the fiercely competitive app market, it is essential to make your apps intuitive and pleasant to use by avoiding these common mistakes. Take our tips on board to stay on top of your game!